In this three-part series on magnesium, we previously discussed what magnesium is and how it works in the body (part 1) and why it’s important for health (part 2). Today we will take a look at how magnesium levels are assessed and how you can know your status (part 3). 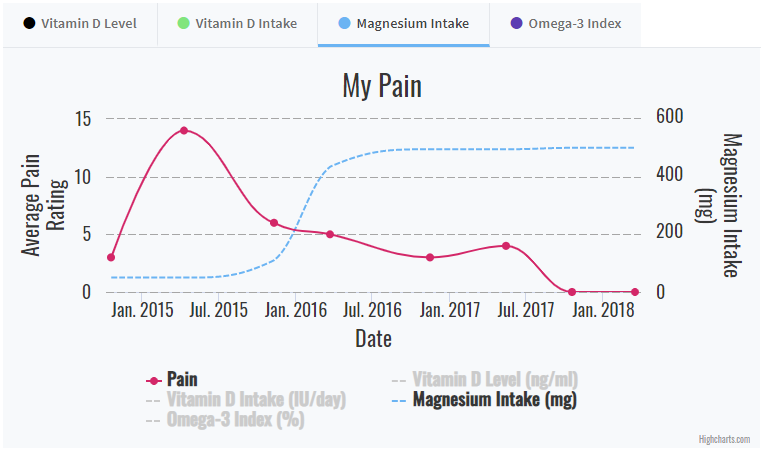 Can I determine my magnesium status based on my magnesium intake? Only a fraction of consumed magnesium is absorbed by the body and the amount absorbed varies depending on the source. From food sources, approximately 30-40% of consumed magnesium is absorbed. The amount absorbed from supplemental magnesium varies substantially with the different forms; forms that dissolve well in liquids have higher absorption than forms that are less soluble. Magnesium oxide is a common supplemental form, but is not soluble in water and is poorly absorbed. Magnesium gluconate, citrate, and chloride are more soluble forms and thus are better absorbed. Given this variability in absorption as well as the wide variation in response to a specific intake amount that is characteristic of all nutrients, the only way to know if you have optimal levels is to test. How is magnesium status assessed? Approximately 50% to 60% of total body magnesium is present in the bones. A majority of the rest is in soft tissues and less than 1% is in blood serum. While assessing magnesium status is difficult because most magnesium is inside cells or bone, there are a couple of tests that are readily available to the public. The most common test, and the one routinely used by most doctors and hospitals, is the measurement of blood serum magnesium concentration. However, it is not very accurate of overall status because it only measures less than 1% of the magnesium in the body. Additionally, the body works to keep serum magnesium levels fairly regulated (when serum levels are low, the body will pull magnesium from the cells) which gives the appearance of normal when an individual may in fact be deficient. The normal range for blood serum magnesium is approximately 1.5 to 2.5 mg/dL. 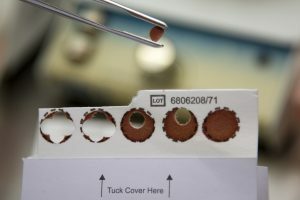 A more accurate test is the Magnesium RBC test, which measures the amount of magnesium in the red blood cells (RBC). It is a better indicator of magnesium status because it assesses magnesium inside cells. The lab reference range for RBC magnesium is 2.8 – 4.6 mg/dL (28 – 46 mg/L), which is the range of the average population the lab serves. Several experts recommend a range of 6.0 to 6.5 mg/dL (60 -65 mg/L) for RBC magnesium as optimal for health. How can I test my magnesium status? Tune in for special announcement on Friday (tomorrow)!